One of these men was Daniel Boone. The other one sold a lot of hats. 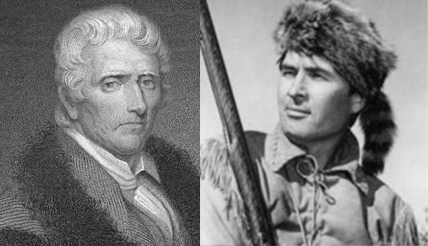 Happy birthday to Daniel Boone, who was born November 2, 1734. He was a frontiersman who became legendary and celebrated during his own lifetime. Celebrate his birthday by wearing a coonskin cap. If you don’t have a cap, duct tape the family cat to your head. Duct tape the family cat to your head?? Really? ?